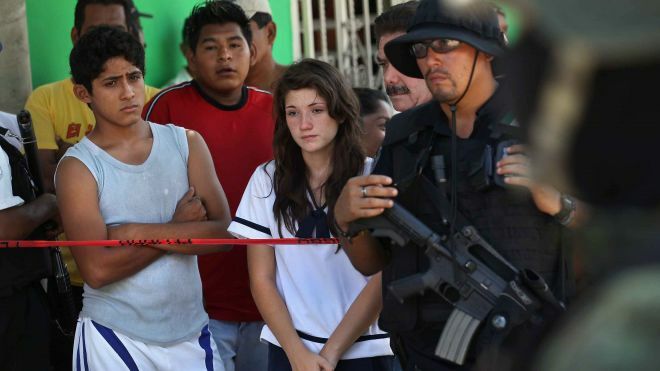 Read more here: http://latino.foxnews.com/latino/news/2016/06/10/armed-group-kills-11-family-members-including-kids-at-their-home-in-central/?intcmp=hplnws. Getty Images. Lord, today we pray about the deadly shooting in San José el Mirador, Puebla, Mexico. Lord, 11 dead—all from one family! What a sad, sad day for this small, remote community! And when we heard that the killings may have been religiously motivated, we were even more deeply grieved. Lord, we pray against these divisions and competitions between Catholics and Protestants in these remote communities. We pray the groups will recognize their commonality in Jesus. We pray for fairness in land, water and other rights that are connected to community membership and influenced by religious affiliation. Lord, we pray for the two wounded children who survived this attack. Please help them receive the best possible care and to not only recover from their physical wounds, but also their emotional and mental wounds. We also pray for the witnesses who survived the attacks. Please protect them for their own good and so they can provide the much-needed help in tracking down the killers. We pray for truth to come out about who committed these atrocious acts, as well as their motives. In Jesus’ name we pray, amen.